Protein is certainly the new buzz word in foods. Not only is it being added to everything but it's being branded on things that naturally included protein before and then they are artificially adding more. 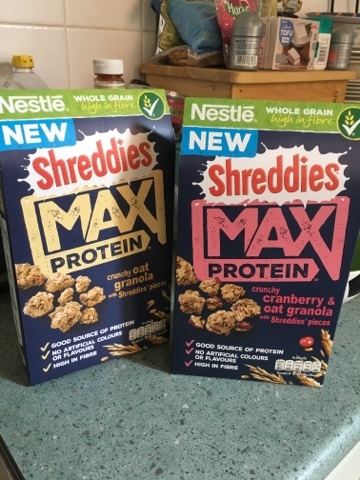 Case in point - protein shreddies. We are looking at the red flavour today. 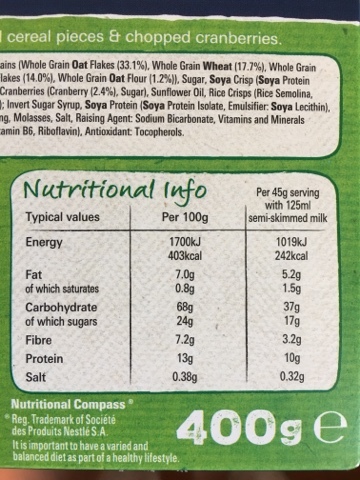 It basically has protein in it, but is this amount per 100g really considered high protein? 10g per portion doesn't seem like a body builders amount. 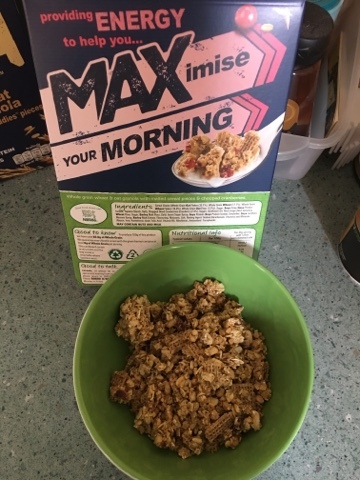 This doesn't stop the cereal from being worth it on it's own merits - it's basically clusters and Shreddies with a hint of Strawberry Milkshake NesQuik about it. It's genuinely nice and something that I'll eat in far less portions than the box suggests. Personally - I'll stick to getting the amino acids my body requires from natural sources and leave the protein loading to those who buy muscle magazines. But if this is on special offer again I'll probably pick some up as my sugary weekend cereal.